Meditate on Gratitude with Donna Ferri. Listen to this 5-minute meditation on gratitude as Donna guides you through a relaxation exercise, using the breath to calm your mind, body and emotions. Credits: Flying Dove royalty free illustration purchased with royalty free rights through Fotolia. Background music, Pavane, is from the album, Core Foundations, purchased with royalty free rights from SmartSound.com. 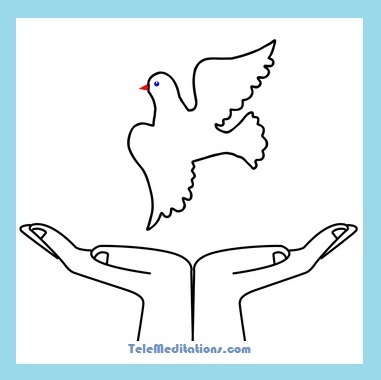 Music mixed with voiceover by Donna Ferri to produce this track for her meditation album, Peace.